Business success is often largely impacted by two aspects: brand exposure and cost efficiency. By choosing SpeedPro Imaging Boston North, you can tag those two birds with one stone by investing in our vehicle fleet wraps. They’ll draw eyes from all around Boston as well as Essex and Middlesex counties. We’ll provide you with custom fleet wraps with vivid colors that last for years. The main focus of a vehicle fleet is to transport your services in some form or another. But you can gain so much more from those plain cars and trucks by wrapping them in expressive and informative graphics. By having your company’s name out in the open for all to see on the spanning roadways of Massachusetts, especially on major roadways like interstates 90 and 95 if your company services a wide range, you’ll gain more exposure and ROI than you could ever expect from a billboard — and at a fraction of the cost! 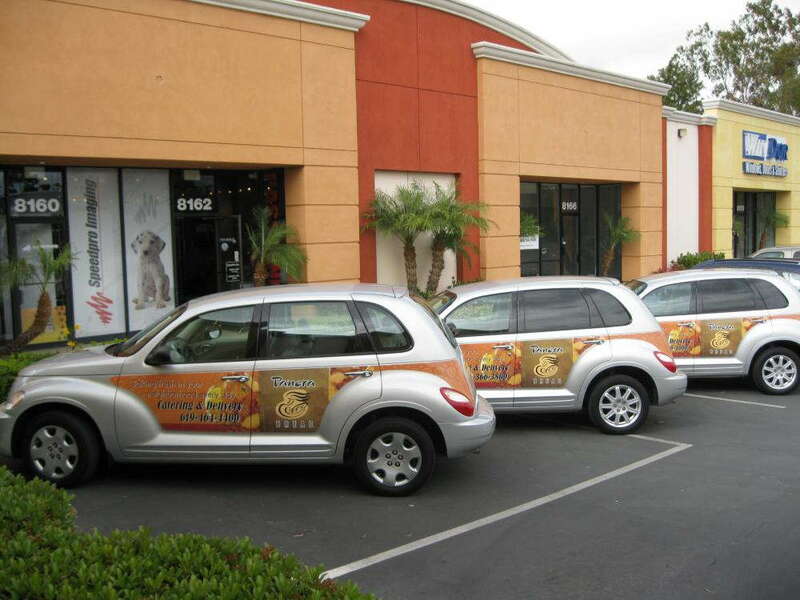 Vehicle wraps are proven to be one of the best ROI strategies around. Depending on the circumstances, a single wrap can create between 30,000 to 70,000 impressions, and the Outdoor Advertising Association of America says they offer the lowest cost-per-impression when compared to any other form of advertising. Whether you want partial or full fleet wraps, there’s little risk involved. Our studio will work with you to determine the best fit for your marketing strategy, as we provide at least nine different design placement options and multiple kinds of material. Choices include printed or pre-colored reflective vinyl decals, 50/50 perforated “one-way vision” window vinyl and specialty coats like camouflage and carbon fiber. We use long-life solvent, eco-solvent and latex inks, and we also offer gloss, luster and matte finishes. Once you and our critically acclaimed experts have developed the perfect plan for your custom fleet wraps, our studio will create the graphics, which take about three to four days to complete. In the meantime, you’ll need to have your vehicles cleaned in preparation for the wraps. Removing as much dirt, wax, grease and polish as possible from them is critical so that these elements do not interfere with the adhesive. Don’t worry! SpeedPro will also apply a chemical cleanse to get rid of any remaining residue. Once the vehicles are delivered to one of SpeedPro’s climate-controlled studios, our experts will work quickly to professionally install the graphics. We’ll strive to meet your timelines and provide quick turnaround times without sacrificing detail.